Madelyn is always thinking and wondering about the world around her. She has a strong spirit of compassion. And. She has extraordinary resolve and determination. My friend, Shelly, captured it in a picture as she pulled her sister and cousin in a wagon. It will always be one of my favorite images. I mean. It’s what our world needs. Now. And. Then. The first question: Why do some kids have to walk for water? The last question: Why do kids drink dirty water? All the why questions in the middle were the same: Why do kids live so hard? She told me there has to be answers. That’s Madelyn. I mean. She’s passionate about others. Baby Jack agrees. Throughout the years I’ve learned God calls you and I to be a solution, which usually means using time and energy for others, despite our own needs and schedule. It’s common in our era to make the decision to do or not to do something based on our stress level of what already is planned. The schedule often takes precedence. Here’s the thing–you won’t necessarily agree or like what I’m about to say, BUT, there will be a day you will look backwards and will admit doing what matters is the only thing that matters on the calendar. At the end of the day, the balanced individual will put something aside in order to do what matters, despite the overbooked-tightly-scheduled-commitments. I’m the first to say that’s hard. Because. It is. So. World Vision has a solution to this problem. RDC is partnering to help make an impact. Click on this to go to our team page. Kathi Walker is our team captain. ONE WEEKEND. ONE CAUSE. ALL NATIONS. Join RDC and IMPACT others–CLEAN WATER. 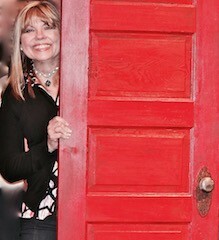 Red Door Church is ON THE MOVE, quite literally, to impact the world! This spring we will set out together – some walking, some pushing strollers, others jogging or running. The pace doesn’t matter. What matters is the difference we will make in the lives of children around the globe who don’t have access to clean water. It’s so simple, yet so powerful. Responding to God’s love by sharing that love with others. Thank you for registering, for walking, for donating! Let’s have fun doing this together. It’s gonna be an AWESOME day! * World Vision is the leading non-government provider of clean water, bringing clean water to families and communities throughout the world. When you register for the Global 6K for Water you will get to walk or run for a unique child from these communities! Wow. What a privilege to have clean water–right? I mean. It’s a gift. I can’t imagine giving a cup of cold dirty water to a thirsty child. It makes me so excited that THE RED DOOR COMMUNITY CHURCH (RDC) has put together a team to walk/run in the World Vision Global 6K for Water! On May 6th, 2017. And. I will be a part of it along with thousands of others around the globe to run 6k to help provide clean water to children in communities around the world. I hope you will either register for the Global 6K with RDC and I or make a donation to my fundraising page. For $50 World Vision can provide an individual with clean water that lasts! Thank you–hope to see you on Saturday, May 6 at 10:00 am in Minto Park. May God multiply this effort–water is life! World Vision Article: Choose the journey: With clean water, Kamama has choices.